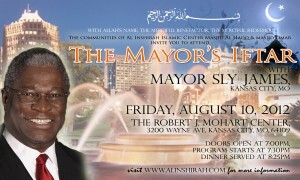 Kansas City, MO, August 5, 2012 - Mayor Sly James is set to host the first annual iftar (dinner) in celebration of the Muslim holy month of Ramadan, Friday, August 10, 2012. The event will be held at The Robert J. Mohart Center, located at 3200 Wayne Ave, Kansas City, MO, 64109; doors open at 7:00pm, with a program beginning at 7:30pm. Dinner will be served at 8:25pm. Every year during Ramadan, the ninth month of the Islamic calendar, Muslims around the world fast from dawn to sunset for thirty days. The fast commemorates the revelation of the Muslim holy book, the Qur’an, and teaches Muslims self-restraint, humility, and patience. The fast also builds an awareness of the importance of working together to help others who go without food around the world and in one’s local community. Upon sunset, Muslims join together to break their fast with a dinner (iftar) and special prayers. The mayor’s iftar (dinner) aims to bring together the various Muslim communities in the greater Kansas City metropolitan area in an effort of solidarity and fellowship. 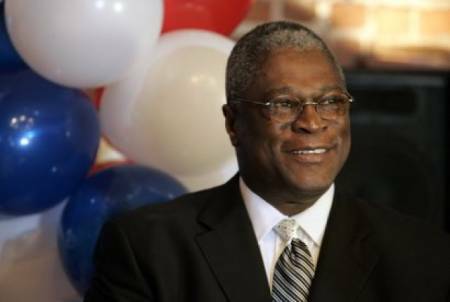 The Kansas City branch of The American Coalition for Good Government, The Kansas City Chapter of The International League of Muslim Women, Al-Inshirah Islamic Center, Masjid Al-Haqq, Masjid Omar, and other Muslim communities from around the city will be helping to facilitate the event with Mayor Sly James. For more information, please call Samuel Shareef at 816-719-6018 or Sulaiman Salaam, Jr. at 816-589-1858.